I am so excited to announce our latest update : the Wedding School LIVE page! It will be even easier for us to bring you LIVE wedding photography education via this incredible resource. 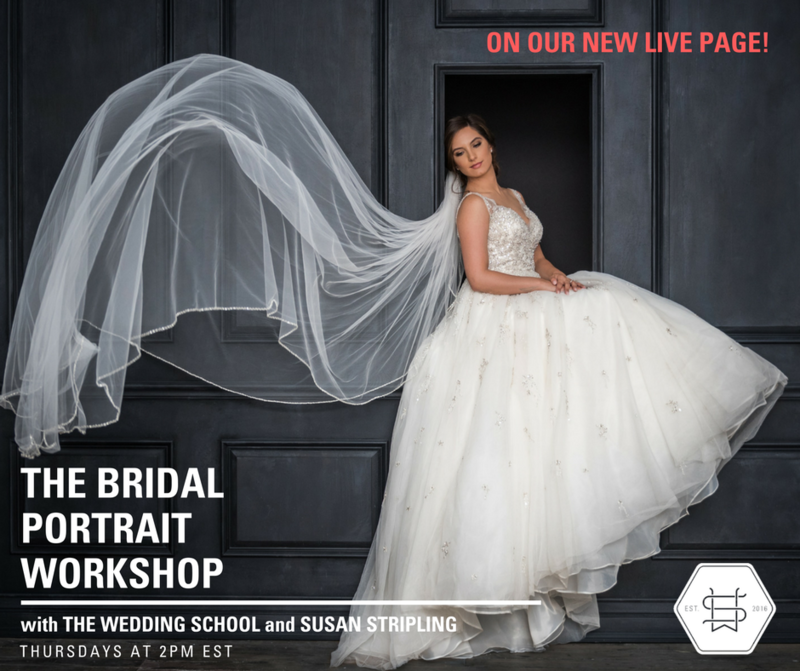 After a six week series on profitability that was broadcast exclusively to our Wedding School : Member’s Only Facebook page, we are so thrilled to transition our weekly lessons to our new LIVE page. Bookmark that page and set a calendar reminder for 2pm EST on Thursdays, because that’s when our weekly lessons will be LIVE! We are kicking things off with our Bridal Portrait Workshop! As always, if you miss a lesson, you’ll be able to catch up as they will all be added to our vast Learning Library!